Provides a green solution to reduce the waste of using disposable cups for drinks. Disposable lids fit tightly on our tumblers, avoiding spills. 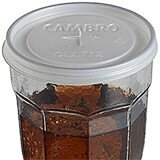 Fits 2-1/2" Top Diameter Cambro Tumblers models numbers: LT66 Oz. Laguna TumblersDisposable lids fit tightly on Laguna tumblers, avoiding spills. Provides a "green" solution to reduce the waste of using disposable cups for drinks. 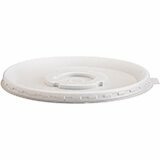 Lids have tumbler code imprinted on them for easy cross reference and includes a cross slot for straws. 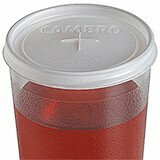 Fits 2-1/2" Top Diameter Cambro Tumblers models numbers: NT56.4 Oz. Newport TumblersDisposable lids fit tightly on Newport tumblers, avoiding spills. Provides a "green" solution to reduce the waste of using disposable cups for drinks. Lids have tumbler code imprinted on them for easy cross reference and includes a cross slot for straws. 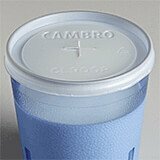 Fits 2-13/16" Top Diameter Cambro Tumblers models numbers: 950CW, LDT10, HT10CW, NT109.6 Oz. Polycarbonate Tumblers 10 Oz. Lido Tumblers 10 Oz. Newport Tumblers 10 Oz. 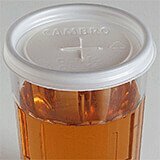 Huntington TumblersDisposable lids fit tightly on Newport tumblers, avoiding spills. Provides a "green" solution to reduce the waste of using disposable cups for drinks. Lids have tumbler code imprinted on them for easy cross reference and includes a cross slot for straws. 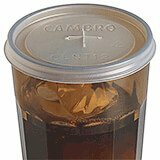 Fits 2-3/4" Top Diameter Cambro Tumblers models numbers: LT88 Oz. Laguna TumblersDisposable lids fit tightly on Laguna tumblers, avoiding spills. Provides a "green" solution to reduce the waste of using disposable cups for drinks. Lids have tumbler code imprinted on them for easy cross reference and includes a cross slot for straws. Fits 3" Top Diameter Cambro Tumblers models numbers: LDT12, HT120CW, NT1212.6 Oz. Newport Tumblers 12 Oz. Huntington Tumblers 12 Oz. 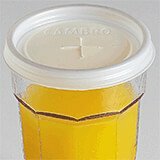 Lido TumblersDisposable lids fit tightly on Newport tumblers, avoiding spills. Provides a "green" solution to reduce the waste of using disposable cups for drinks. 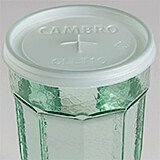 Lids have tumbler code imprinted on them for easy cross reference and includes a cross slot for straws. 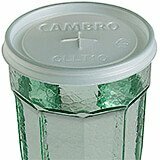 Fits 3-1/8" Top Diameter Cambro Tumblers models numbers: D16, LT12, NT1412 Oz. Laguna Tumblers 14 Oz. Newport Tumblers 16 Oz. Del Mar TumblersDisposable lids fit tightly on Laguna tumblers, avoiding spills. Provides a "green" solution to reduce the waste of using disposable cups for drinks. Lids have tumbler code imprinted on them for easy cross reference and includes a cross slot for straws. 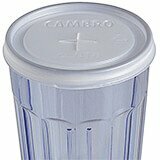 Fits 3-3/8" Top Diameter Cambro Tumblers models numbers: 1200CW, 1200P, D12, HT12CW13 Oz. Polycarbonate Tumblers 12.6 Oz. Colorware Tumblers 12 Oz. Del Mar Tumblers 12 Oz. Huntington TumblersDisposable lids fit tightly on Laguna tumblers, avoiding spills. Provides a "green" solution to reduce the waste of using disposable cups for drinks. Lids have tumbler code imprinted on them for easy cross reference and includes a cross slot for straws.